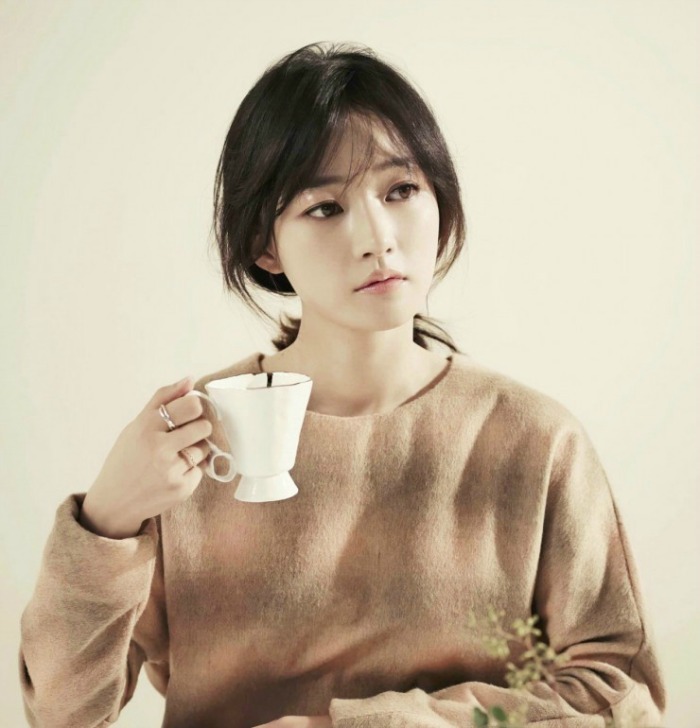 Here is a very short interview Song Ha-yoon (송하윤) participated in about her character Sul-hee in the drama Fight for My Way (쌈 마이웨이). Fight for My Way is about the growing romance of four best friends who want to have “My Way” of life regardless of what others say. Q. 설희라는 캐릭터에 대해 궁금하다. A. 사랑이 전부인 설희는 의리 있고 정도 많지만, 무엇보다 이해심 넘치는 마음을 갖고 있다. 자신의 감정을 잘 다룰 줄 알면서도, 상대를 이해할 줄 아는 성숙한 마음이 매력적으로 다가왔다. 사랑 앞에서 순수한 감정을 가지고 있는 점도 좋다. 사람을 사랑할 줄 아는 설희라서, 연기해야겠다고 결심했다. Q. I’m curious about your character Sul-hee. A. Sul-hee, a character who thinks love is everything, is loyal and warmhearted, most of all, full of understanding. Her character was attractive to me because of her maturity: she can control her emotions well, at the same time, she is very understanding. Also, I like her because she is pure in front of love. I decided to take the role because Sul-hee is a person who knows how to love people. A. 사랑 앞에서 매우 진지하고 헌신적인 면이 비슷하다고 생각한다. 요즘에는 설희가 내가 되고, 내가 설희가 되어 지내고 있다. 아직 어리숙한 부분은 배운다 생각하고, 이해해야 하는 부분은 마음으로 받아들이고 있다. (설희가)굉장히 어른 같다가 보호 본능을 자극하는 아이 같기도 해서, 이상하게 자꾸 끌렸다. Q. Are you and Sul-hee similar? A. I think we are very similar because we are both serious and devoted to love. These days, Sul-hee becomes me and I become Sul-hee. I am leaning to the naïve side of her, and I accept the part that I have to understand with my heart. I was attracted to Sul-hee because she seems very mature at times but sometimes she is like a child who you want to protective. A. 존재 자체가 러블리한 설희를 연기하면서 나도 순수하고 깨끗해지는 느낌이다. 사랑 앞에서 설희는 ‘슈퍼맨’인 것 같다. 시청자들과 웃음, 행복을 나누고 싶다는 마음이 많이 든다. 지금 촬영하면서 느끼는 두근거림을 나누고 싶다. 드라마를 시청하는 시간만큼은, 기분이 좋아질 수 있도록 노력하겠다. Q. Any last word to the viewers. A. I feel pure and clean while acting as Sul-hee, who’s existence is just lovely. I think Sul-hee is a ‘Superman’ in front of love. I want to share laughter and happiness with the audience. I also want to share the leap up I feel during filming. I will do my best to make you feel happy while watching the drama. Fight for My Way will air on KBS2 on May 22nd. International fans can find it on Viki. Previous Post Translation for Third teaser for Fight for My Way! Interesting. thank you for the translation.